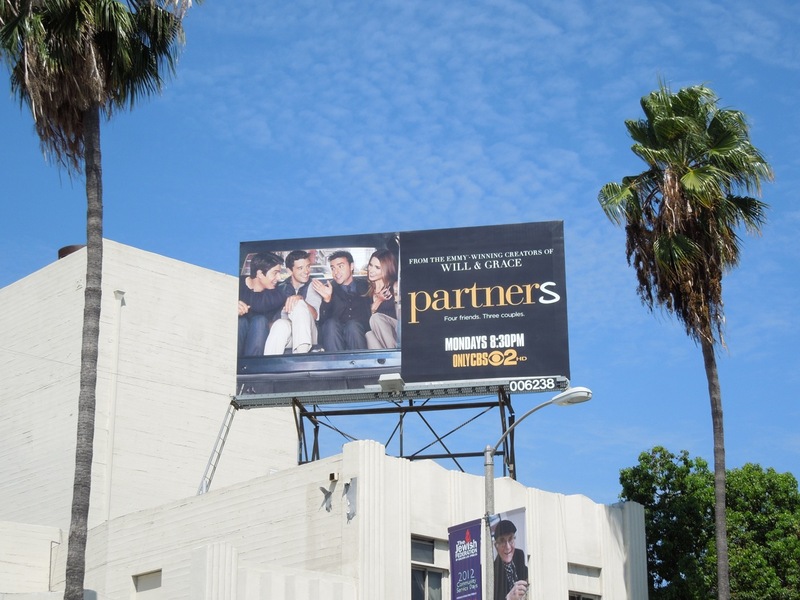 New sitcom Partners not only has some fantastic comedy credentials, being from the creators of Will & Grace no less, but it also has a rather 'super' cast too. Brandon Routh played the Man of Steel in Bryan Singer's Superman Returns and here he plays the dreamy boyfriend of Michael Urie (the snarky 'Mark St. James' in Ugly Betty). 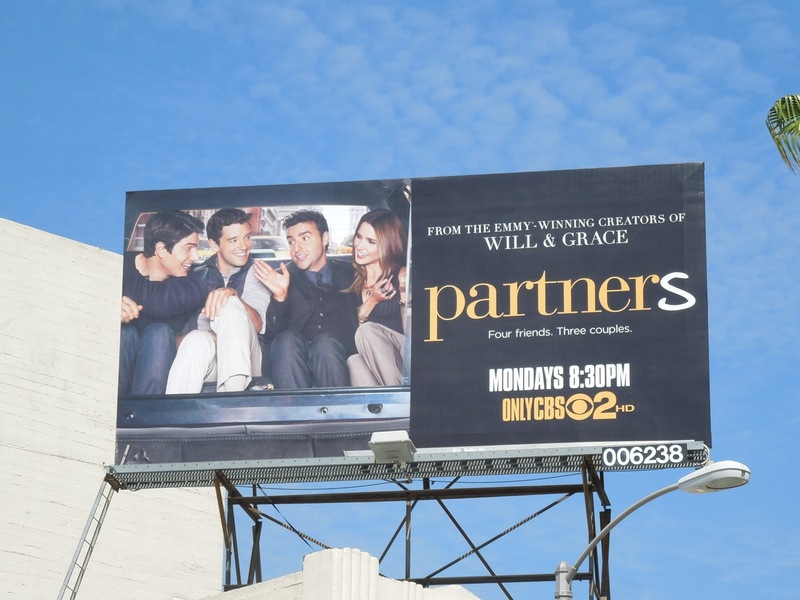 So it looks like The New Normal isn't the only sitcom this season to have some strong gay characters or storylines. Michael's 'Louie' is life-long pals and business partner with David Krumholtz's 'Joe', who is getting engaged to Sophia Bush's 'Ali', and the fun will be seeing how their 'bromance' adapts to this new development in their lives. 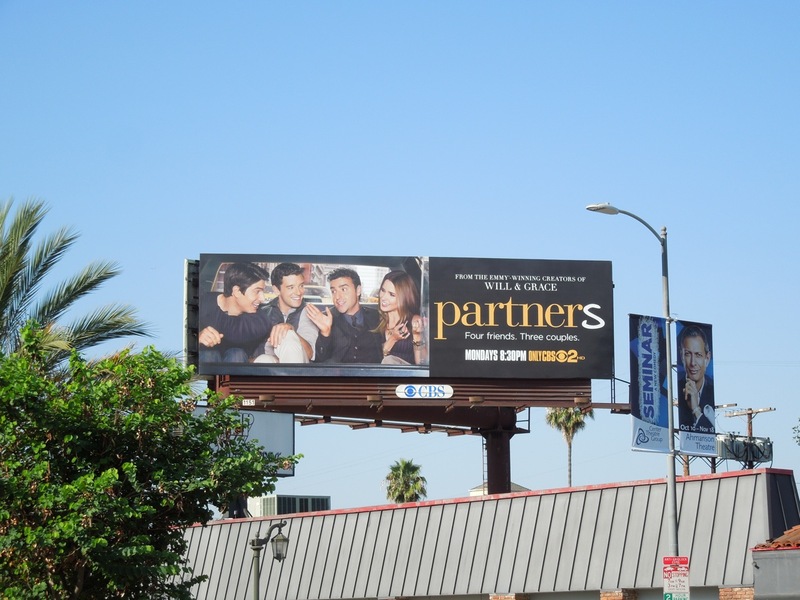 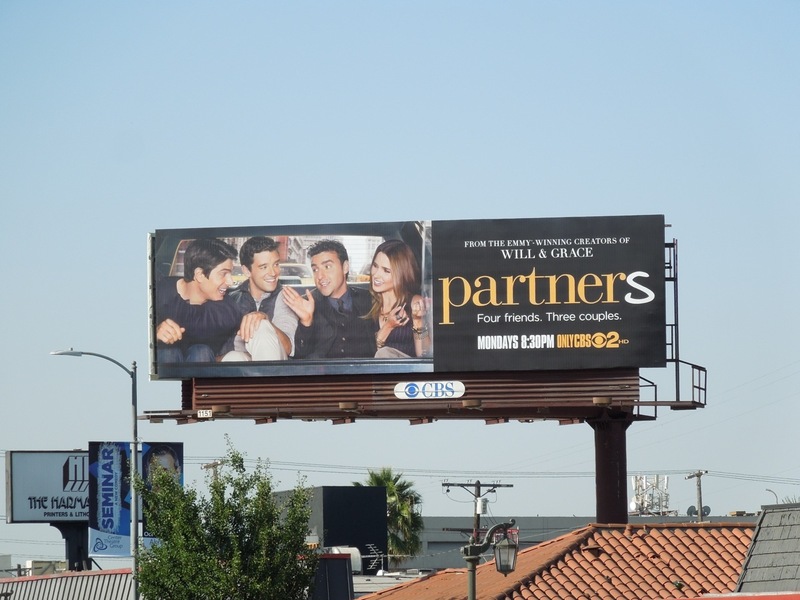 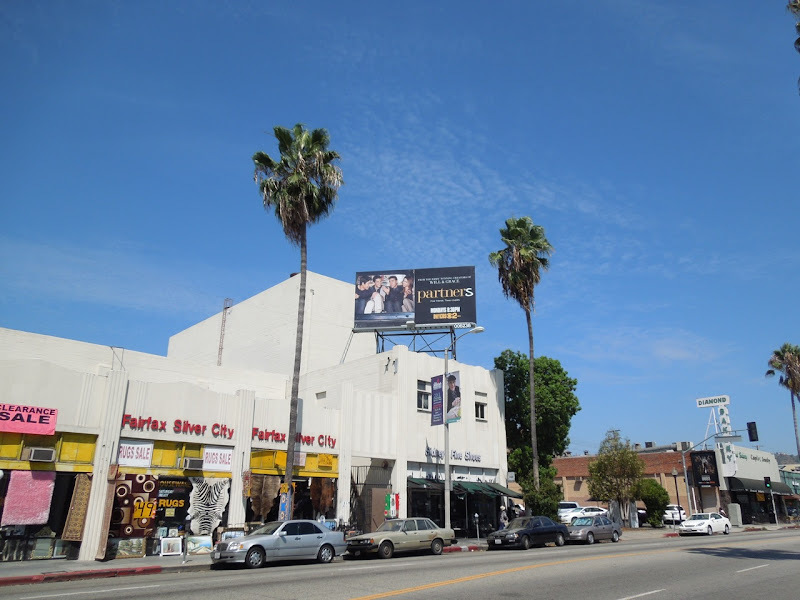 These backseat billboards for Partners were snapped along Fairfax Avenue and Highland Avenue on August 18, 2012. 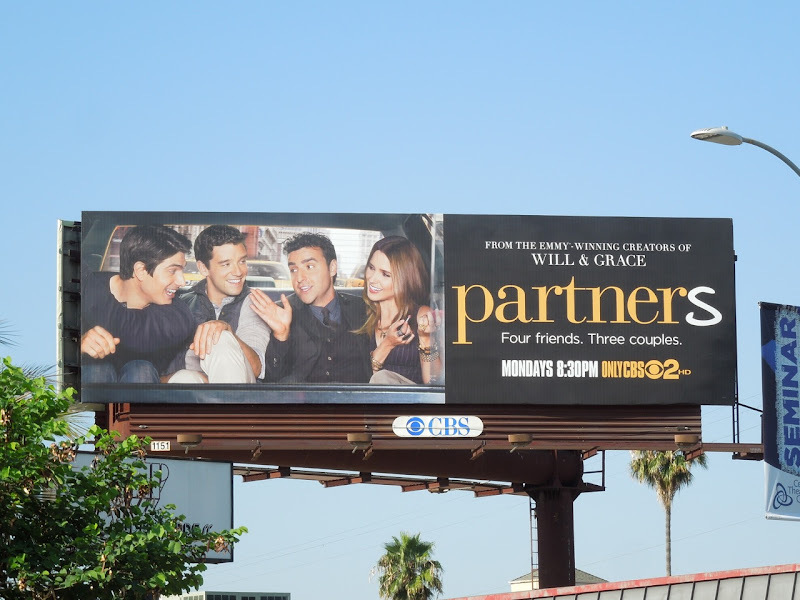 Let's hope this sitcom is indeed super and Daily Billboard is sure CBS hopes it takes off 'faster than a speeding bullet'.